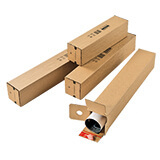 Our heavy duty square postal tubes are easier to stack than their round equivalents and more convenient to use than standard long cardboard boxes. 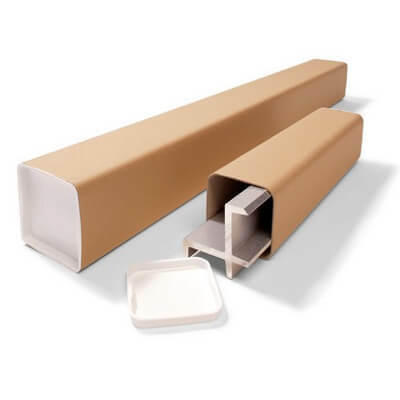 In fact, with one end cap already fitted, all you need to do is pack, insert the other cap and send to your customer – it couldn’t get any quicker or easier! For important information regarding Royal Mail pricing bands, click here. Just send us the size... It's simple and fast! Get a quote before you order, normally the same working day. Our massive in-stock choice of 4,000+ packaging products means we can dispatch orders on the same working day, on a standard overnight service. 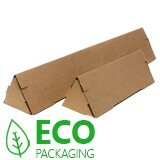 This includes the biggest selection of cardboard boxes available in the UK. Our consistent 5 Star 'Excellent' rating on Trustpilot puts us ahead of other UK suppliers, plus we guarantee to beat competitor's catalogue prices!